"Thirty years ago today, I spent an afternoon in the Denver Bears' nearly deserted stadium, watching a stupid Triple A baseball game and hoping Bobby Kennedy wouldn't die..."
Read Dan Bernstein's column that ran June 5, 1998 in The Press-Enterprise (Riverside, CA). 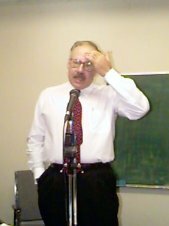 Mike Ruppert is a former LAPD narcotics investigator who believes that the RFK assassination is tied directly to the CIA, his life, and the LAPD officers working for CIA who groomed his early career. "I was only seventeen the night Bobby was shot but, as time would prove, I would wind up closer to his killers than I could ever have dreamed." Read Ruppert's article, Bobby, I Didn't Know!, on his Web site. Patt Morrison's Los Angeles Times column, "The Heart of the American Dream - and Nightmare," appeared in the Wednesday, June 3, 1998 Metro section on Page B-1. 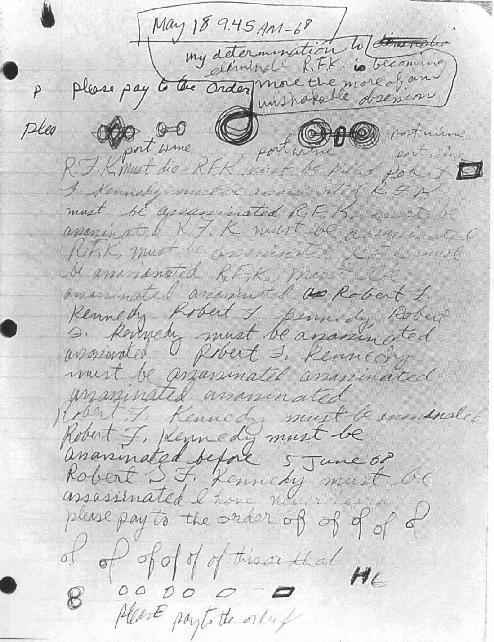 Of 68 total pages in Sirhan's diary, the only one that mentions "RFK."